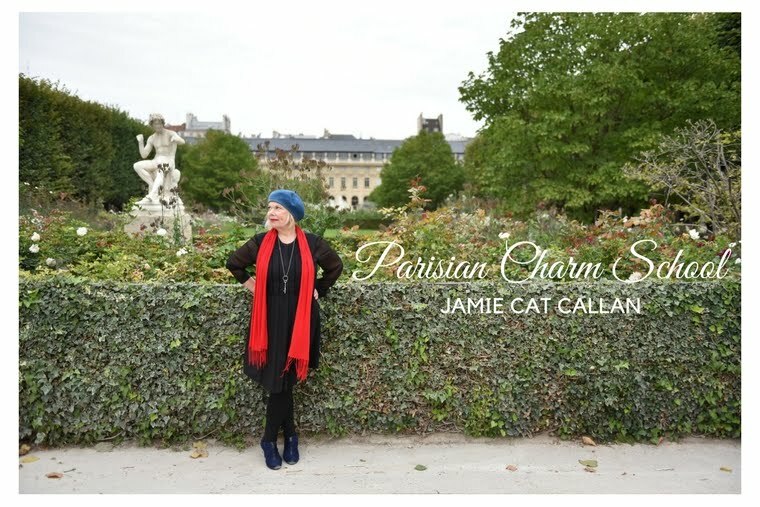 Jamie Cat Callan: 5 Days Until the Ooh La La! Paris Tour! 5 Days Until the Ooh La La! Paris Tour! To be cool or not to be cool, that is the question. I know a lot of us want to be just like the French when we're in Paris. We want to blend in and go unnoticed, perhaps even pass for a real Parisienne. And while, I think this is a noble pursuit, I would like to offer another suggestion, perhaps seemingly radical. How about playing the role of The American Tourist? Rather than taking on an air of being ultra cool, full on ennui, why not delight in being new to all this and read your maps in public, and yes, photograph a lot! This is one of the wonderful things about travel. You are like a child, wide-eyed, and full of wonder. 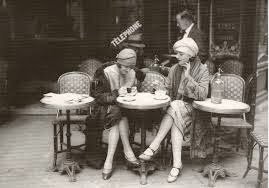 And consider this, as an American woman visiting Paris, you are part of history, and part of a story that goes back a long time. And perhaps one day, your grandchildren will look at photos of you in a Paris cafe and say, wow, my grandmother was so adventurous, so glamorous, so amazing--because you are! Lovely suggestions for someone who has never been to Paris before. Bon voyage!